The ex-Procol Harum guitar master shares his secrets on this rare instructional session. He demonstrates vibrato techniques, bending styles, special blues licks, working with a bass player, Memphis-style lead, and more! 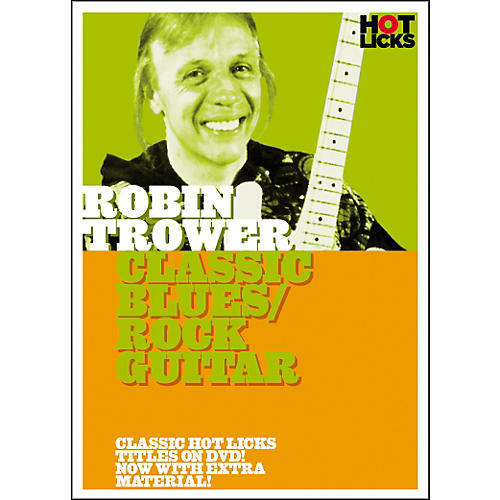 With special concert footage of Robin and his band included, this is a real collector's item disc from a true rock and blues guitar legend.